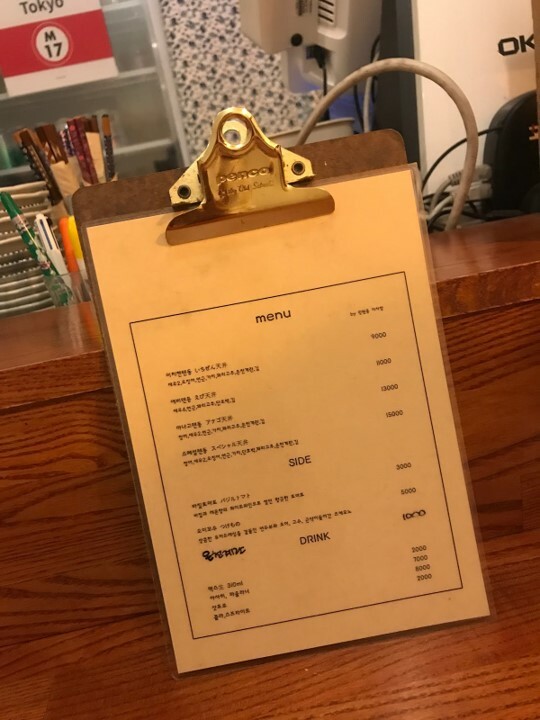 One of my favorite places to venture into in search of a nice plate is Mangwon, a neighborhood within walking distance of Hapjeong and a stone’s throw away from Hongdae. The first time I came here was in the March of my teaching stint, and a friend and I trekked through snow and hail in order to cafe hop. But the weather made us cut our losses and set our sights on the always looming but seemingly never showing “spring” that we deserved. I went a few times after that and was no less than completely satisfied, physically and spiritually, because good food will do that to you. This summer, I had the opportunity to stop over in Seoul before heading back home to the US, and I’ve been staying in Mangwon. Although it’s rapidly gentrifying, there’s a vitality yet still a calm here that I can’t articulate but thoroughly enjoy. Every day I’ve needed to walk no more than three minutes to reach amazing restaurants and street food, so I want to share some of my favorite meals over the past few days. One thing you will realize quickly living here is the turnaround for opening and closing of businesses is fast. Open and booming one day and then literally empty the next. So before I get started, a few tips on how you can best stay in the loop. Firstly, start learning Korean. Although Naver maps just recently became available to use in English, it is not one hundred percent up to date, especially with contact information and business hours. To add, trust Google maps with a grain of salt, as sometimes it can be comically off and you walk blocks back and forth when your destination is actually in the street over. My best hack is actually Instagram. 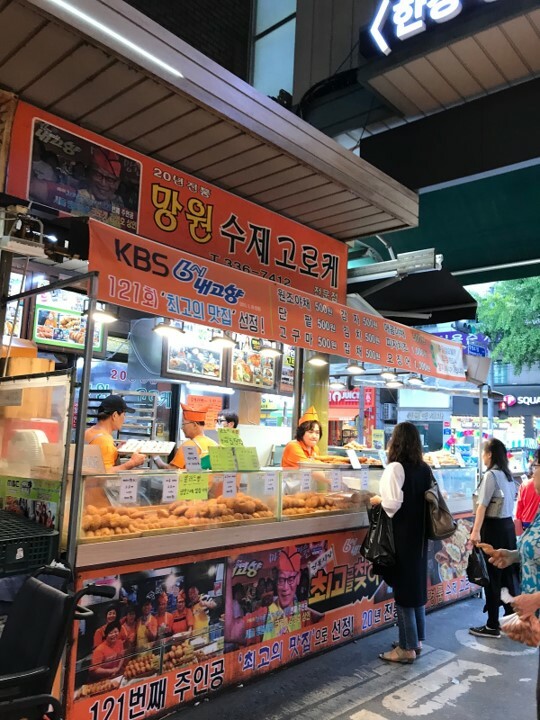 South Koreans posting on there are your best friend, as you can check the geotag of the restaurants to see the most recent posts. 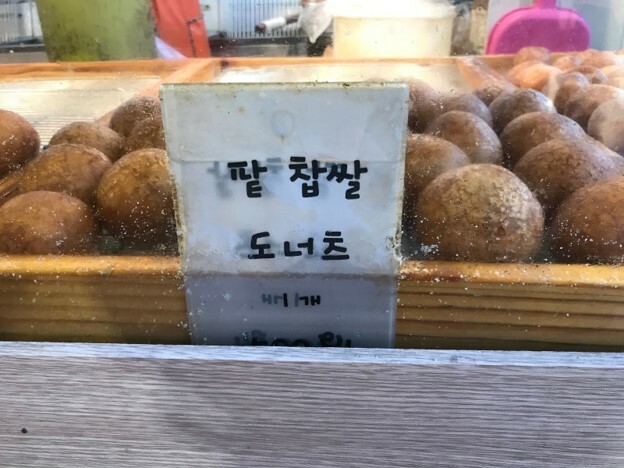 There can be times where the last tagged post was a month and a half ago and it’s STILL not accurate, so I believe in a cocktail of this cross-referencing will prevent a lot of heartbreak showing up to a soondoobu jigae spot that’s now a coworking space, with no soondoobu in sight. 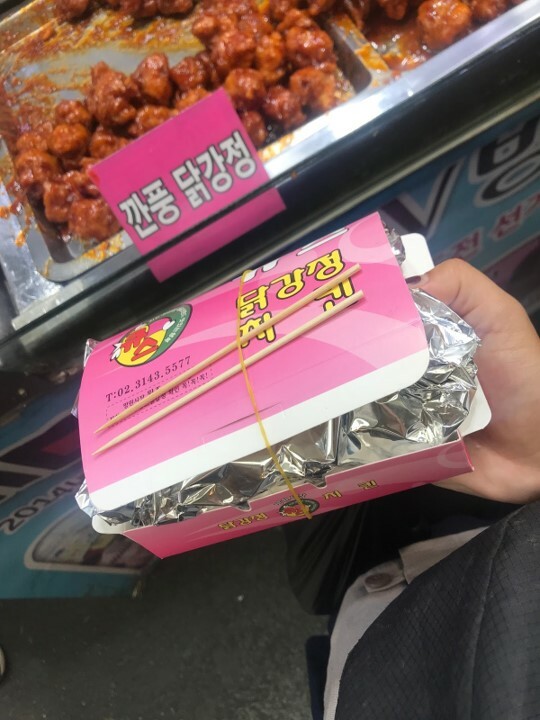 My first rec is Haengbok Sinkdang, translated to Happy Burger in English (https://www.instagram.com/happy_burger777/). They have an almost bare exterior, so make sure you look closely or you might pass it by. It’s simply decorated, with white walls and clean wooden tables, perfect for small groups or pairs. 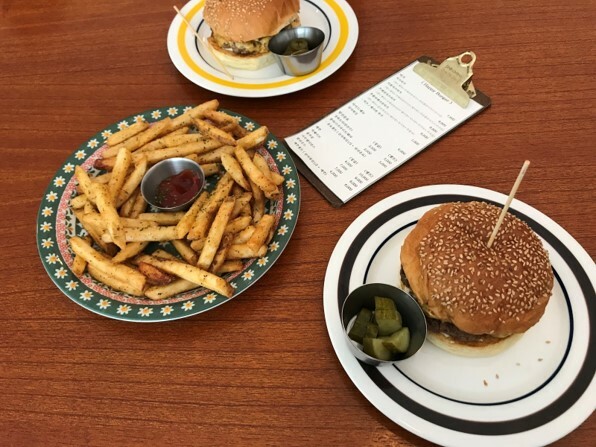 They have a small menu, with a regular cheeseburger, a bacon cheeseburger, and a rucola cheeseburger. My friend and I both ordered the regular cheeseburger, which was a perfect size, with a soft sesame seed coated bun, melted cheese, and covered, and i mean covered, in caramelized onions. The fries are crispy and fluffy. On their instagram they say they are open from 12-9:30 with break from 3:30-5:30 and 12-9 on weekends with no break, and closed on Wednesdays and Thursdays. It also says they stop accepting orders one hour before closing, but I went an hour and a half before and they were closed, so make sure to steer on the earlier side to avoid disappointment! 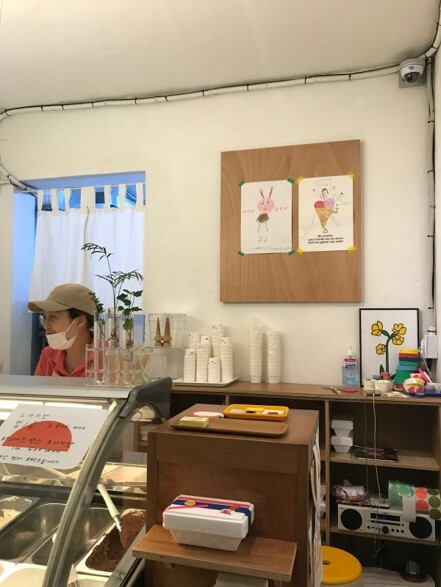 For dessert head to the left on the same block for some gelato at Gelateria Dangdo (https://www.instagram.com/gelateria_dangdo/). 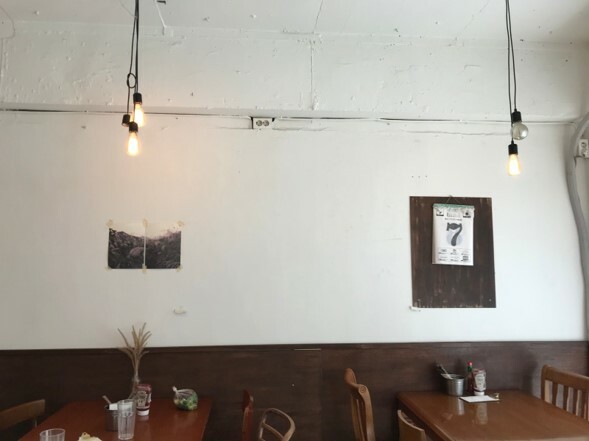 It’s a tiny spot with minimalist decor and friendly staff. They have many special flavors like black sesame, watermelon, and even calamansi, which is a citrus indigenous to the Philippines, sometimes called Philippine lime or calamondin. 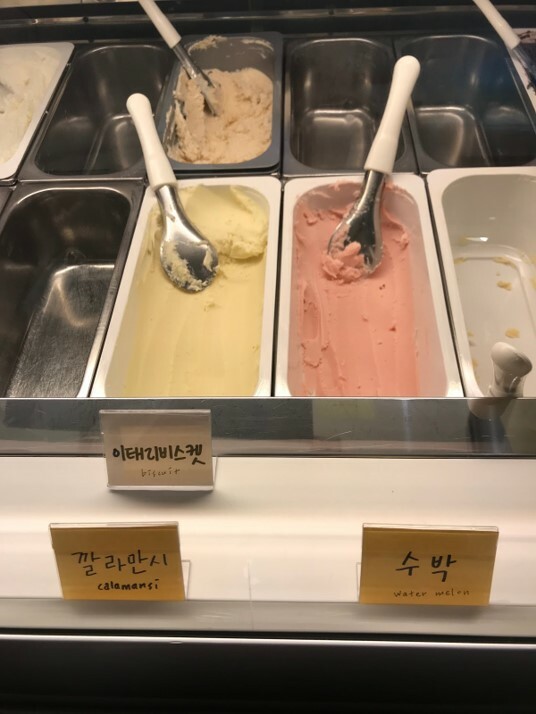 For 3,900 won, you get two flavors and then two samples on top! I got the chocolate and the mocha flavors with coconut and the calamansi sorbet as samples, and it’s some of the best gelato I’ve had. They have two little benches inside and two chairs outside, so it’s a bit tight. 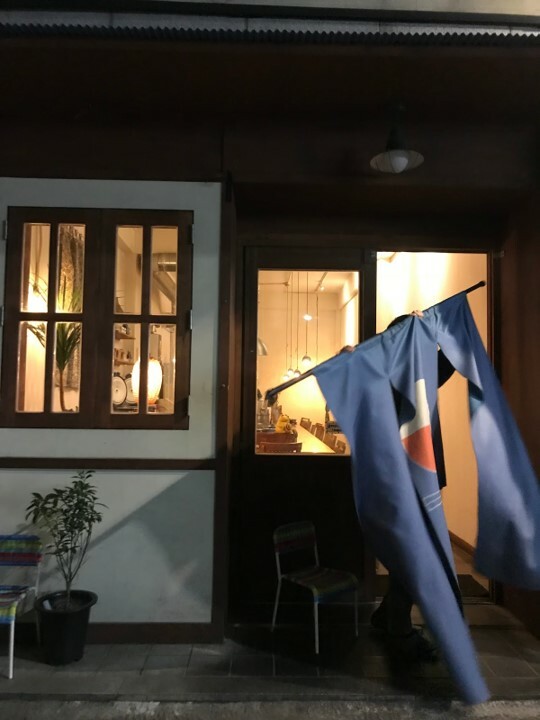 If you don’t find a place to nest for a while, you can take a stroll through literally any side street and stumble into seven other places you want to check out. It’s open from 12:30-8 Tuesdays to Sundays, closed on Mondays. They tend to sell out in the evenings so make it in the afternoon if you can. My next recommendation is Ichizen, a Japanese place specializing in donburi, curry, and bento (http://www.instagram.com/ichizen_ten). My friend and I actually went here to nurse our heartbreak at Happy Burger being closed. The line is usually out the door for this place, so we were lucky to get a spot for dinner. The ambience inside is beautiful and cozy, with soft lighting, some plants, and a long wrap-around counter where you can see the chefs at work. 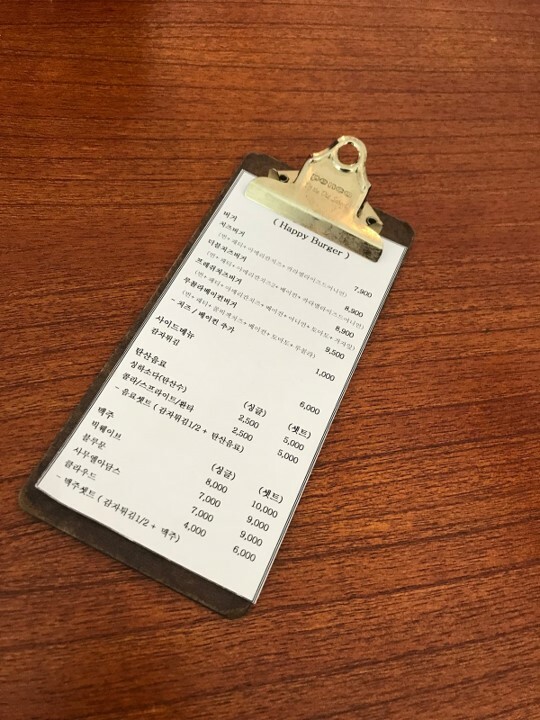 Everything on the menu is in Korean, but we just pointed to the first two things on it and ordered. We were happy to see the results come out. I had a bowl with rice and tempura. Oftentimes tempura is a bit bland for my taste, but everything was seasoned very well, with a selection of prawns, eggplant, radishes, and other veggies over a poached egg and rice. 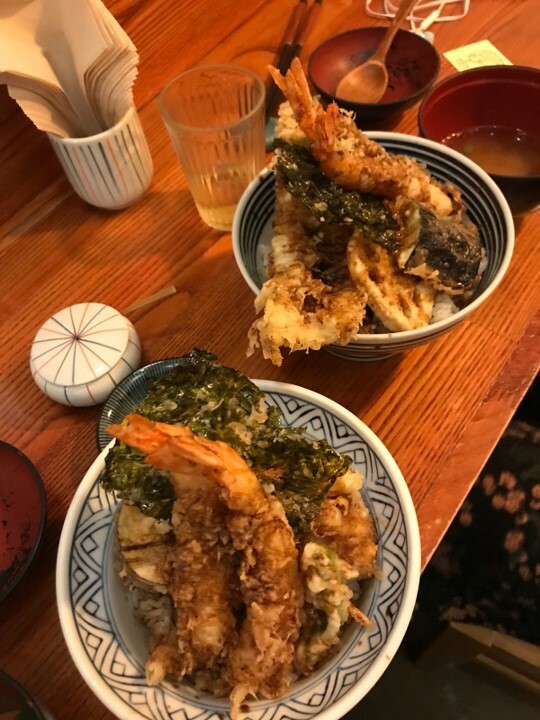 My friend had a bowl with the same things and also some fish that we shared. The dishes are worth the price, and there was a basil tomato appetizer that I definitely want to try next time. It’s open from noon to nine, with a break from 2:30-5:30 and closed on Mondays. 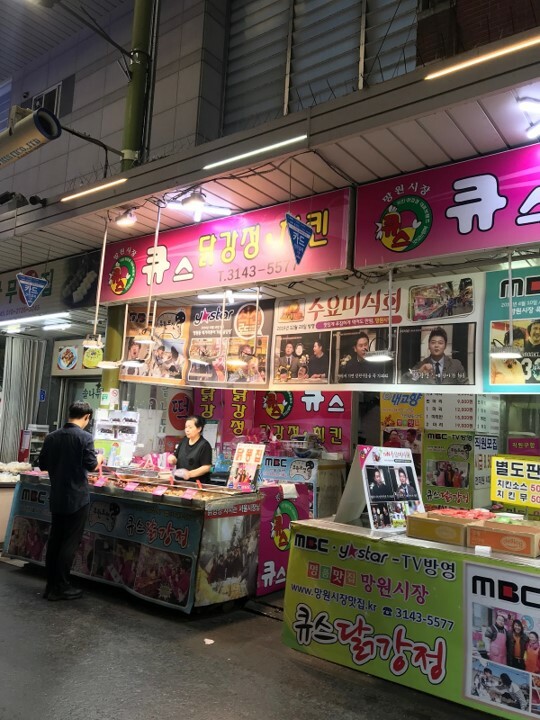 My final stop is the Mangwon market, which may be one of my favorite markets in the city. Off of exit two at the Mangwon stop, the entire street leading up to it also has a bunch of food stands and ajummas selling thrifted things on the side of the road. Just go where all the people are lined up and that’s how you know it’s good. My first must-see is the fried chicken place on the right side, pictured below. They have six varieties, and I’d choose the second and third one from the left, because they’re sweet and spicy. Pack a box and then make your way to the croquette and donut place on the left at the very end before you hit the crosswalk.